I just attended their webinar on request fulfillment and I think that the processes we currently use can be streamlined by utilizing some of the features shown. The instructor was well- versed in the content and spoke clearly and concisely. Thank you guys for what you do! Business/IT administrators who are actively involved in asset inventory management. Sysadmins who are actively involved in procuring and provisioning assets. Active ServiceDesk Plus users who want to learn how to effectively use the tool for IT and non-IT asset management. 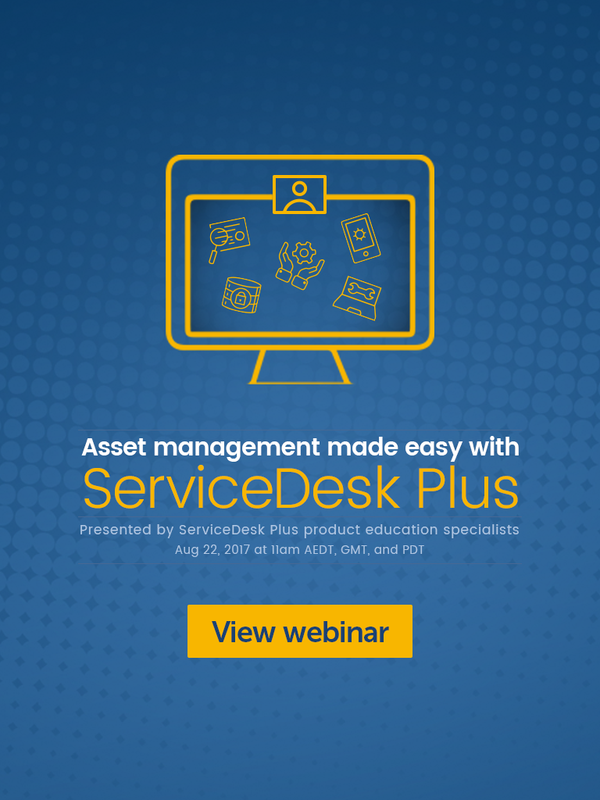 New users who'd like to understand ServiceDesk Plus asset management capabilities. Product education specialists devote their time to educating users about ServiceDesk Plus. They regularly conduct online and offline training sessions to help users understand the value they can create from their IT service desks.